Been wanting one since I cannot remember when! Watched on several gun forums and finally ran across one for sale that was reasonable and in decent shape. It is a GI Issue and has some real character! I had a hard time discovering what a couple of holes in the side of the stock were and finally ran across a buddy that had some real experience with them. It was to mount a grenade launcher on! WOW! Don't you know if it could talk there would be some real stories there! I took it out to a friend's house where there is a 220 yard berm and began to play with it! Shot about 150 rounds through it getting it zeroed in at 220 yards and with iron sights, it lays a pattern about 4" to 6"! I am sure someone with some real shooting experience with long rifles coud do better at it than I did but for my purposes, let me just say it is perfectly fine and I am happy with it!If you have never shot one and never heard the plink that happens when ejecting the clip, you are missing one significant piece of history. It is unique to say the least. I am truly amazed at this thing and as cooler weather gets here, I will be on the range with it quite a bit. I thought I liked my M1 Carbine a lot but this thing has now become my favorite! You picked a very fine weapon. It will never fail you. You should see if you can get an era scope for it, that should take you to 3x the distance. Anyway good luck and safe shooting. That's a great piece of history you've got there and i wish i could fondle it a bit. You'll probably see a lot of interest in it from the people in your classes. 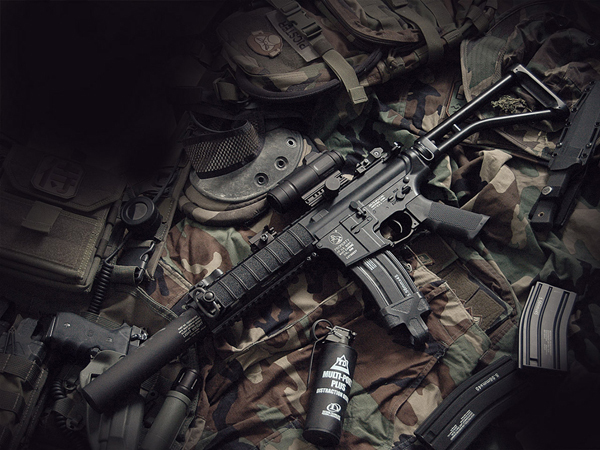 I will pick up a bayonet soon and I really would like to find a grenade launcher! Might locate one from one of my buddies that collects that stuff! L have not had it but a week and I love it! That grenade launcher would be beyond cool! I am on the hunt! I did not even know what the two holes on the side were for and my WWII friend said, "Here, let me look at it. I can tell you!" sure enough when he looked he immediately said grenade launcher. He really got my curiosity up and I just want one! Wonder how ATF will view that? I only have an 01 FFL so it may not be enough to pacify them with a grenade launcher. I would really like to see it in action! Bet I really could do some destruction!!!!!!!!!! I may have a grenade launcher site thingy. I think I have it in the garage in a beer glass up on a shelf. well I went out and got it. I'm not sure if it's form the Garnand. Maybe Viet Nam era. It written sight grenade launcher M 15, it has a level and and angle inclination dial on it,with a peep hole sight and adjustment knob. WOW, that sounds very familiar because we used grenade launchers every day. Target practice was a absolute blast!! I do not know of another rifle that had a grenade launcher mounted on it! Not saying there was not one but this is the only one I even know of that had a grenade launcher on it. We need to talk! I would sure love to have that thing. If you do not have a use for it or an attachment to it, I will try to buy it from you if you are willing to part with it. I do not know what one is worth but we can find out what they are worth and I will be fair with you. I am not trying to take advantage, just trying to get a grenade launcher for the darn thing! Let me know. Sounds like fun, I missed all that cool stuff being an anchor clanker. Anyway it also has a diamond with an N in it. Must be the manufacturer's logo. AO your post popped up after I wrote this. Yeah no problem> Thats why I mentioned it to you. It's been collecting dust in my shop and now my garage for 30 some years. I'll take a pictue of it and sent it to this thread, then VV should be able to id it for us. Then we can talk turkey. I found the poachfor it also, I had a pair of safety glasses in it. The mounting screws are missing and so are the instruction sheet. I am interested! Are you attached to it or not? No not at all. A freind had given me it like I said some 35+ years ago. I was editing the pictures I sent when you posted this post. I wanted to mention in the pictures post that I had found the poach for it. The mounting screws are gone and so are the instruction sheet. In the picture that is just wood dust on it from many years of wood working projects. Welll shoot me a price or tell me what you would want for it. I have no idea what they are going for as I have not looked yet. I tried to order and when yo place it in the cart, there are none in stock! I am still looking! You can have mine. You can send me something later if you care to. Like I said it's no big deal. I'm not going to use it. It's less stuff I have to work around. I will get even with you. It may take some time to do it but I will get even with you sooner or later! I do appreciate it! It will stay with the old M1 Garand in the safe and with VV's help we will figure out how to use the darn thing!!!!!! Ok I'll sent it out to this week. Glad to be of service. Thank you very much! I will get it mounted and take photos to post! Ok I had to sut it down last night...my server was acting up. Where is Freedom? MIA again. I think Freedom and VV are napping again! LOL! First two man forum I've ever attended. That's oky! They will wake upp sooner or later! Until then, enjoy the light traffic and knowledge being shared!!!!! !